BOOMERANG! Welcome back PV Sindhu! Sindhu took home a Silver medal at the 2016 Olympics in Rio de Janeiro, when Li-Ning sponsored the India national team – becoming the first female athlete from India to win Silver in the Olympics. That accomplishment made her India’s most-sought-after female brand ambassador outside of cricket – not surprising for a top-three globally ranked player. 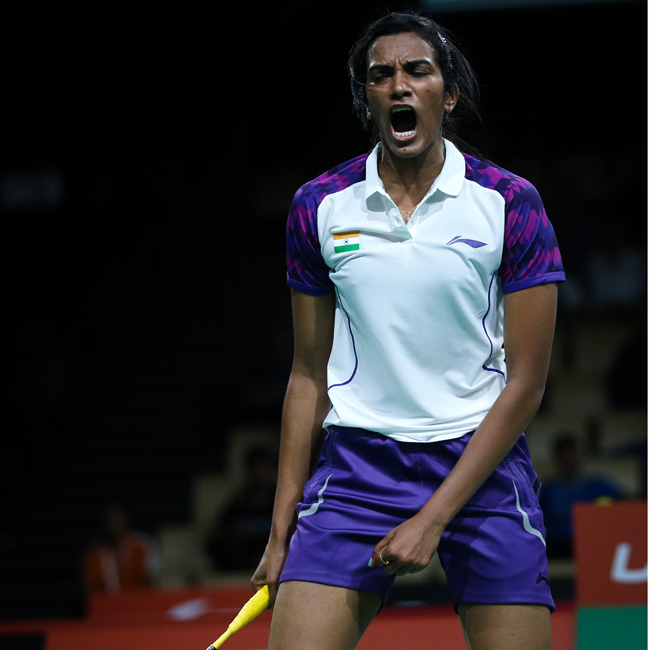 Badminton ace Sindhu finished 2018 as the 7th highest paid female athlete in the world ($8.5 Million) – quite an accomplishment considering Sindhu also was the only badminton player and Indian to crack the list topped by tennis super star Serena Williams. 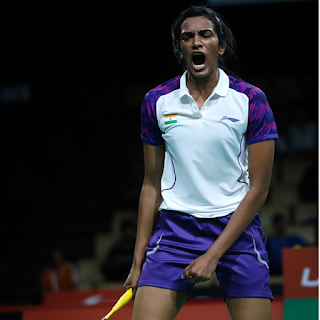 Sindhu broke onto the international badminton scene in 2012. As a 17-year old, she broke into the top 20 of the BWF World Rankings. Four years later, she was given India’s highest sporting honor earning the Rajiv Gandhi Khel Ratna award. One of the most impactful faces for badminton brands, Sindhu launched her own mobile app in 2017 for fans to follow her. Earlier this year, right around the time she was also signing on to become the brand ambassador of PNB MetLife insurance, Sindhu traded in her badminton shoes for formal heels when she walked the ramp for the first time at the Lakme India Fashion week. Sindhu aims to look just as fashionable playing with in full Li-Ning badminton gear and states that Li-Ning badminton equipment is top in class from their military grade badminton rackets to their badminton string and bags. She hopes the badminton racket switch to the vibrant colors of Li-Ning will brighten her future as well starting with this August at the Badminton World Championships. She has placed second the past two years. And wouldn’t it be nice to see Sindhu wearing Li-Ning clothing and badminton shoes while standing on the podium of the 2020 Tokyo Olympics? Stay tuned to see India’s top-ranked women’s singles badminton player in marketing and advertising campaigns for Li-Ning worldwide. Li-Ning is excited to announce it has signed world champion shuttler Kidambi Srikanth to an endorsement deal that runs to 2023. Srikanth, who attained the world’s No. 1 ranking in April of 2018, played with Li-Ning badminton rackets in 2014 and 2015 and has returned to wearing the Li-Ning colors while playing with the Li-Ning N9 racket because of its mega power offensive and attacking capabilities. The deal for the only Indian badminton player to have ever won six Super Series badminton events was signed just a few weeks shy of Srikanth’s 26th birthday (February 7). The sponsorship and equipment supply agreement is equally exciting for India and the Li-Ning brand who have another serious gold medal contender for the 2020 Olympics in the fold. 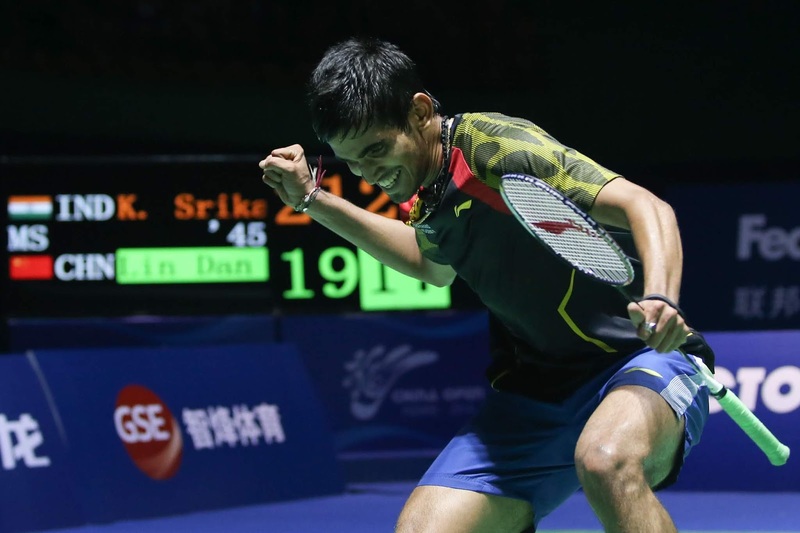 "I am honored to be the face of Li-Ning in India and globally,” Srikanth said. “I love their products and I'm really looking forward to stepping on the court with a renewed vigor to accomplish a few more goals that I have set for myself and keep bringing laurels for my country." Since turning pro in 2008, Srikanth has used his right-handed racket skills to amass more than 200 wins – including the memorable 2014 victory against another well-known Li-Ning player, Lin Dan to win the China Open championship and put him on the global map as a badminton force. A champion at every level of play, Srikanth – who hails from the Guntur region of Andhra Pradesh – has consistently been ranked in the top 10 of the world since 2014. He has won six Badminton World Federation open championships in different countries and finished 2017 as the highest earning badminton player on the globe. News of the top male badminton player from India signing with the top Chinese sports brand is as far reaching as North America, where it’s a win-win situation for Canadian and American players who can see that anything is possible. LN Distribution Inc. acted as the official Li-Ning representative at last year’s BWF World Junior Championships hosted in Ontario Canada and is excited to have Srikanth playing with a Li-Ning badminton racket again. Last year, he was honored with India's fourth highest civilian award – the Padma Shri. Awarded annually by the government of India on its Republic Day, citizens of India are recognized for their distinguished contribution in multiple industries ranging from arts and sports to literature and science. Li-Ning has been supporting the badminton teams of China, Indonesia, Singapore and Australia and was also the official sponsor of the Indian contingent at the 2018 Asian Games in Jakarta. Li-Ning also currently acts as team India's official apparel partner until the 2020 Olympics in Tokyo, where Srikanth will be one of the foremost Olympic medal contender hopes for India. Li-Ning is one of the leading sports brand companies in the world, mainly providing sporting goods including badminton shoes, apparel, and equipment such as badminton string and badminton rackets. Its large selection includes rackets featuring proprietary technology such as Turbo Charging (fast play), 3D Caliber (power play) and Aeronaut (control play) that allows players to focus on what’s important to them and their specific game. “We were really impressed with the road map and vision of the brand Li-Ning for Srikanth and the team handling Li-Ning is completely hands-on and dynamic, which is so important for a top athlete like Srikanth. We look forward to a great association over the next four years,” said Tuhin Mishra, managing director, Baseline Ventures that represents Srikanth. Li-Ning is one of the leading sports brands around the world that guarantees 100% satisfaction on all your badminton equipment. Li Ning offers badminton rackets, badminton clothing, and accessories. The 3D Caliber series is ideal for strong players who are looking for maximum power. It has a high-tech, geometric frame. The design eliminates air resistance during swings resulting in more powerful smashes. The Aeronaut series is ideal for players who are looking for the best racket control. Its design incorporates into the racket head, a unique air-stream channel which minimizes air resistance. The result is super high speeds for the shuttlecock. ii. Combat. The COMBAT rackets have a pretty heavy head with a higher balance point. iii. Boost. The BOOST rackets have moderate weight and a medium shaft. iv. Instinct. The INSTINCT rackets have a flexible shaft that facilitates a fast attack style of pay. Are you running a badminton club and looking for support? Do you need to purchase badminton equipment in bulk for your badminton club or tournament? If you answered yes to any of these questions a Li-Ning badminton sponsorship may be for you! Our badminton club sponsorship has been designed to support qualifying badminton clubs in the USA & Canada while introducing members to the Li-Ning brand and our amazing badminton equipment. Qualifying clubs must have a web site and be willing to create a significant Li-Ning presence on the site. 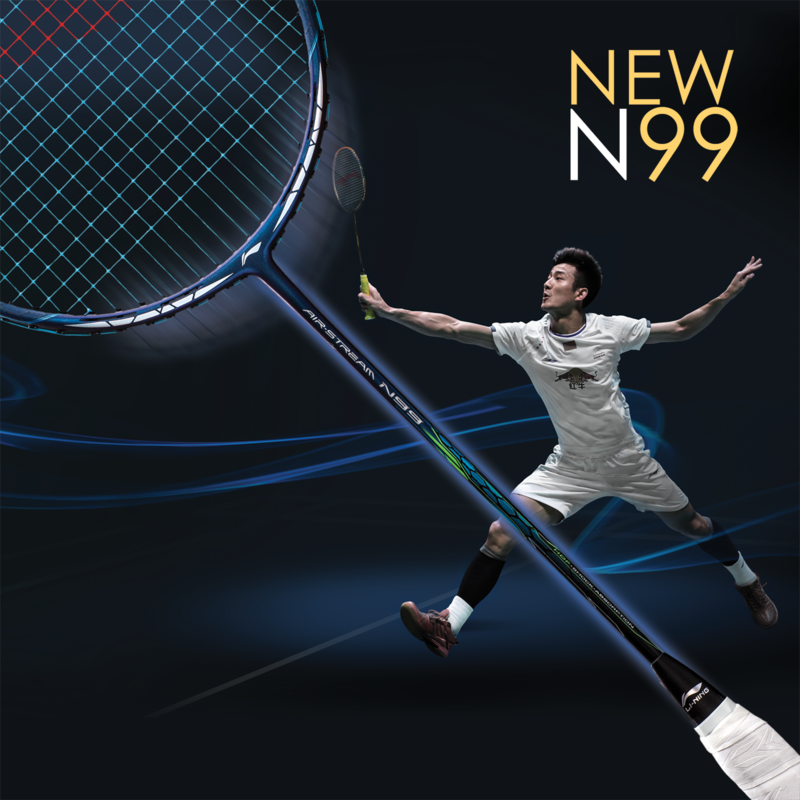 Our goal is to continually introduce the Li-Ning brand on the clubs web site and encourage members to investigate Li-Ning badminton equipment including badminton rackets, badminton string badminton clothing, shuttlecocks and our wide range of other badminton accessories supplies. We also ask that our brand be added to the clubs Facebook timeline header in order to give us additional brand impressions through this media. In exchange for these valuable benefits, we provide the club organizer with a special online account that enables them to purchase most of our products at significant savings. In addition to this, we issue Product Rebates on an annual basis. The Product Rebates give the club an allotment of complimentary badminton equipment to use for club related events, tournaments and functions. Please be aware that Product Rebates have some restrictions including the purchase of our 14 badminton shuttlecock models, custom badminton racket stringing services and customization of badminton clothing. Club organizers are permitted to purchase badminton equipment including badminton rackets and shuttlecocks and all other products for themselves and family members but they are not permitted to use the account to purchase products for other club members. The purchase of our high performance badminton strings is highly recommended if the club organizers offer badminton racket restringing services. If club members would like to purchase Li-Ning badminton equipment they are invited to visit our web site where they will find over 75 badminton racket models and over 14 shuttlecock models plus a colossal selection of badminton equipment and supplies with FAST FREE SHIPPING on orders of $150 or more! If you are interested in applying for our badminton club sponsorship, you are invited to apply online. Simply visit our badminton web site and navigate to the sponsorship link in the top menu. Most badminton clubs that have an active web site, social media presence and a reasonable number of members will qualify and getting set up is fast and easy. A simple letter of understanding is signed by both parties then the club’s web site and social media properties are updated. Once this is complete, the sponsorship account is set up and the Product Rebates are issued! There is no better badminton club sponsorship in the USA or Canada so if you would like complimentary badminton equipment and the ability to purchase badminton shoes, badminton clothing and other badminton equipment and supplies for you and your club please consider applying today! From the first time you see the all NEW stunning red, black, green and silver design of the Li-Ning Super Force badminton racket you will be in love! This racket screams POWER and with its reinforced commercial grade carbon fiber construction it can be strung up to an AWESOME 35lbs. Now you do not have to string it this tight but if you have a very hard swing and if you love to POUND the shuttlecock you will truly enjoy the high string tension. The Super Force 17 badminton racket also included cutting edge technologies such as Dynamic Optimum Frame for an enlarged sweet spot. Badminton rackets with an enlarged sweet spot give you added control and power and make the badminton racket more enjoyable to play with. It also includes Aerotec Beam System that reduces wind resistance and improves that strength of the racket. High Tensile Slim Shaft makes the racket look stunning and increases its strength at where the head and the shaft are joined. The SUPER FORCE 17 badminton racket is suitable for offense oriented players who want to play with blistering power. This popular badminton racket has a higher balance point giving it a heavier head so your swing can generate much more power. The integration of our unique multi-polymer reinforced carbon fiber adds numerous layers and strength to key badminton racket points. Increased strength and power of the shaft along with other reinforced areas makes this badminton racket one of the most durable offensive and power driven racket on the market today. 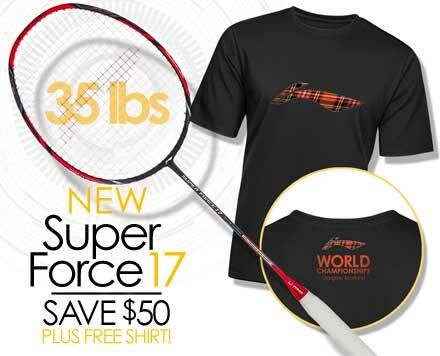 The Super Force 17 badminton racket is available in the USA and Canada on August 21st, 2017 and comes with a 2017 Glasgow, Scotland World Championship shirt until September 30th or while supplies last. If you have any questions about purchasing this badminton racket or any other Li-Ning Badminton rackets please feel free to call us at 855-6LI-NING (855-654-6464) Monday to Friday 9am until 5pm EST.